A really nice and well-written blog entry about the analysis of bones and other material from ancient Dilmun [Bahrain], before we even knew where the civilization lay. Now in northern California, the material was excavated by an American in 1940, and left alone until, as author Alexis Boutin writes, "working with students from Sonoma State and UC Berkeley, we have determined that the Cornwall collection includes over 3,700 objects made from materials including metal, bone, ivory, pearl, shell, and alabaster, although stone and ceramic objects dominate. The datable objects derive mostly from the Early Dilmun period, ca. 2050-1800 BCE. This was a period of unprecedented political and economic prosperity in Dilmun, as suggested by fortified settlements, temple complexes, administrative seals, and imported goods." This crest of development on the shores of the Arabian peninsula coincided with the decline of the ancient Indus, with whom the culture was closely linked. Read on at These Bones of Mine. 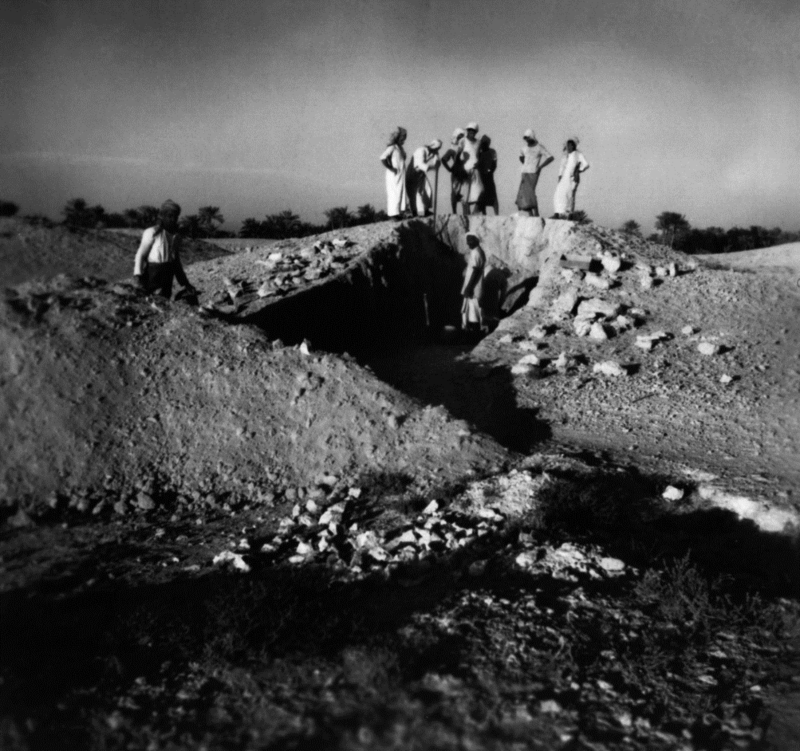 Image: Cornwall’s team excavating a tumulus in Bahrain. Courtesy of the Phoebe A. Hearst Museum of Anthropology.